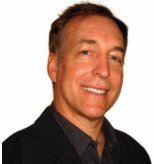 Mark has been publishing games since 1981, and his credits include great Atari titles such as Fast Eddie and Turmoil, arcade juggernauts such as Smash TV, NBA Jam, and NFL Blitz, and console best sellers such as MLB Slugfest, NBA Ballers, and NBA Showtime. . In the interview, Mark talks to me in depth about Smash TV, his thoughts on the declining arcade industry, his personal game collection, and his work on a Smash TV sequel. For information beyond what is in the podcast, I’d strongly recommend our listeners take a look at two interviews here and here. Eugene Jarvis has one of the most impressive résumés in games industry. 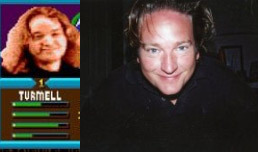 Not only was he the co-creator of Smash TV, but he also designed Defender, Robotron 2084, Blaster, N.A.R.C., Cruisn’ USA, and other seminal arcade games. Jarvis, who is currently the head of Raw Thrills Inc., discussed how he got involved in Smash TV, reflects on the history of gaming, how arcades might become relevant again, the future of Virtual Reality, and the status of retrogaming. Please note that Jarvis’ audio during the interview isn’t of the same quality as the rest of the show as he was only able to speak via telephone. We figured that his insight was worth any trade-off in audio fidelity and hope you agree! For more information on Eugene, you can read his Wikipedia article or the excellent interview in Halcyon Days. The next episode, which will be up later this month, will focus on our other November Together Retro Game: Wizard of Wor. Interviews with high score record holders and more are scheduled! In the meantime, be sure to leave comments in the podcast forum!